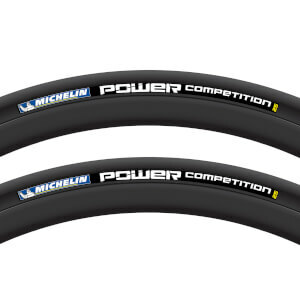 The Michelin Pro 4 Service Course offers the best performances for competition with excellent grip, excellent anti-puncture protection and exceptional rider efficiency! Low rolling resistance, excellent resistance to wear and a better grip thanks to the Bi-Compound technology. Two rubber compounds in one tread: In the centre a rubber mix to give more rigidity and on the shoulder area a rubber compound to give good grip when cornering. Excellent protection against punctures thanks to a High Density-Protection ply on top of the casing. HD-Protection puncture ply: +10 % better resistance to punctures on average compared to the main competitor! Fast and cheap tyres with nice looking minimalist logo. -OK- delivery time.